The ASEAN community has become one of the most commonly spoken about issue; however, recent surveys found out that Thai?s having knowledge and understanding on ASEAN community are just a few in numbers. This could make many Thai?s lose out on the opportunity or be unprepared in taking advantage of the upcoming change which will be occurring in no time. From numerous studies conducted by various institutions, AEC will contribute to growth via economic activities in Thailand. For example, according to the University of Thai Chamber of Commerce, the economic growth trend will increase up to 1.75 percent in the year 2015. The increase in growth is second only after Singapore. One important factor that makes the economic growth in Thailand to increase is the reduction of import tax to 0, along with the elimination of tariff barriers among ASEAN country members, which increases the value of trade between Thailand and other ASEAN countries. The expectation from the University of Thai Chamber of Commerce found out that exports from Thailand to ASEAN countries in the year 2015 will increase 2.7 percent, up to 2.29 hundred thousand million baht. This will cause Thai export to ASEAN countries to increase by 39.5 percent in 2015. Free flow of investment will also induce direct foreign investment from ASEAN countries in Thailand, especially investment in services businesses which allows foreigners to come and take ownership up to 70 percent. These include air transportation, tourism services, health services, and logistic services etc. Apart from this investment, a lot of foreign countries that are not in the ASEAN community will come to Thailand as Thailand is established as a center of the region, thereby allowing Thailand to become a very suitable spot for investment as a production hub and logistic hub in the region. Thailand will also receive more income from the tourism after the opening of the ASEAN community. It is expected that tourists from ASEAN countries will increase as the limitations in transportation system reduces. As basic infrastructure for transportation across countries improves, the exchange of information within the ASEAN will increase as well as movement of skilled labors to foreign countries will start to take place. Thailand also has an advantage of its location site. The variety of resources for tourism and the readiness of basic infrastructures and facilities can support the tourism industry; thus allowing more opportunities and benefits to be achieved from the increase in the number of tourists. The AEC will increase competition among firms due to an open gate for movement of products, services, investments, finance, as well as skilled labors. Thailand has to face high competition from neighborhood countries that have higher competitiveness such as Singapore and Malaysia. On the other hand, Thailand also competes with countries that offer lower labor costs and have rich resources such as Myanmar, Laos, Cambodia, Vietnam etc. The increasing competition will push forward a change in the economic structure of the region to become a higher value-added economy. Those Thai industries that are expected to gain benefits consist of the high technology industries (automobiles and electronics), design industries (fashion and furniture), and necessity production industry (processed agricultural products, food and consumer goods, construction materials). In addition, the service industries that are expected to gain benefits too are the tourism industry, health and beauty industry, services businesses, and design and construction industry. Agricultural products that will gain benefits are namely the cassava, rubber, and fruits. On the other hand, the industries that will be affected negatively are the primary products such as rice, palm oil, soy bean, meat and cows, tea, coffee, onion, garlic, raw silk, and fishery products, mostly those 23 agricultural products in Thailand having a protection policy. These products are produced by using of large numbers of labor so it is hard to maintain the competitiveness with the countries that have lower labor costs than Thailand. There are up to 6 ASEAN countries members who have lower labor costs than Thailand (see Table 1). Some service industries that require highly skilled labor or management with efficiency and high technology such as finances, banks, insurance, telecommunication and computers, retails and wholesales, and logistics, may lose market share to competitive countries such as Singapore who has the highest potential in the service business. 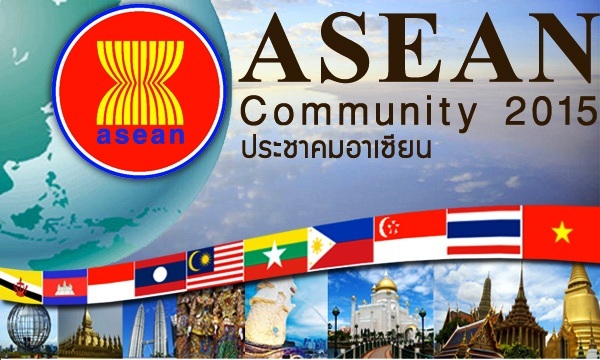 The ASEAN community will cause effects on change in both quantity and quality of economic structure, in which could be both advantages for some economic activities and some group of people and disadvantages for other economic activities and other group of people too - especially those who lack preparation. In my next article, I will be talking about the change in 3 more issues that I think are important for the readers in specifying the direction and for them to prepare for the upcoming ASEAN community change.